Midfielder set for Real Madrid stay | The Transfer Tavern | Where football transfer rumours fly or die! Despite his form being a little bit sketchy this season, here at the Football Transfer Tavern we think Mesut Ozil is one of the best players around and according to a report in Marca, Real Madrid agree. 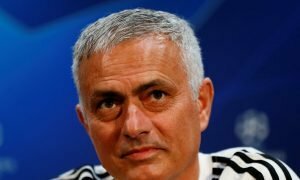 The German international has been a key part of Mourinho’s side in the last couple of seasons and when the creative player is on form, so is the team. Real Madrid have recently met with the player’s father to discuss his progress and the future of the player. 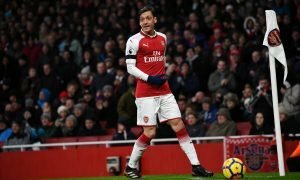 Director General José Ángel Sánchez took his chance to sit down with Ozil senior and note how pleased the club are with the progress of the former Werder Bremen player. 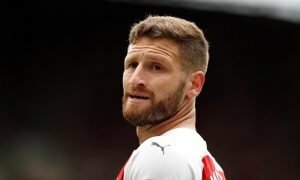 They also chatted about the contract Ozil is currently tied to, which runs until 2016 and both parties claimed to be happy with the current situation. Real Madrid are keen to keep hold of their best players and despite the uncertainty surrounding Jose Mourinho, Cristiano Ronaldo and Xabi Alonso, it seems Ozil is set to stay and start looking at extending the current deal next season. The player is also keen to secure a better deal on his image rights. After shining on an international stage too, Ozil senior feels his son’s future is bright and Real Madrid fully agree – and will not even consider letting the player leave. Do you think Ozil will be at Real for many years to come? Vote in our polls below.